I just completed an appraisal of a home for a refinance where the subject had sold eight months prior to date of value. I included the prior sale of the subject as Comp#4 and had two very recent, reasonably similar comparable sales that I included in the sales comparison grid. The subject is located in a suburban neighborhood built out in the 1960s-1970s on a ridge with some homes featuring city light views. Many recent sales feature remodeling or recent updating while others are relatively original. In most suburban neighborhoods, using sale price per square foot (PSF) is the best way to track market trends because using PSF reduces the impact of changes in floor area in your sales comparable data. Generally speaking, the sale price model is subject to variations in floor area in this case and is not the best model. So, following my normal practice, I used the PSF linear regression model to determine time adjustments to comparables. 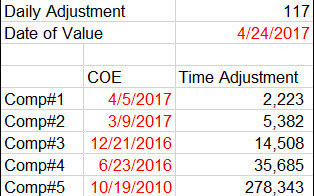 Once I applied these time adjustments, my range of value was from $447,000 to $466,000 with an indicated value of $460,000. However, the most recent sale indicated $450,000 at most as did homes in contract competitive with the subject. Something wasn’t right. So I tried a sale price linear regression model instead. Indicated range of value for the subject ranged from $443,000 to $451,000, in line with the most recent sale and competitive homes in contract. 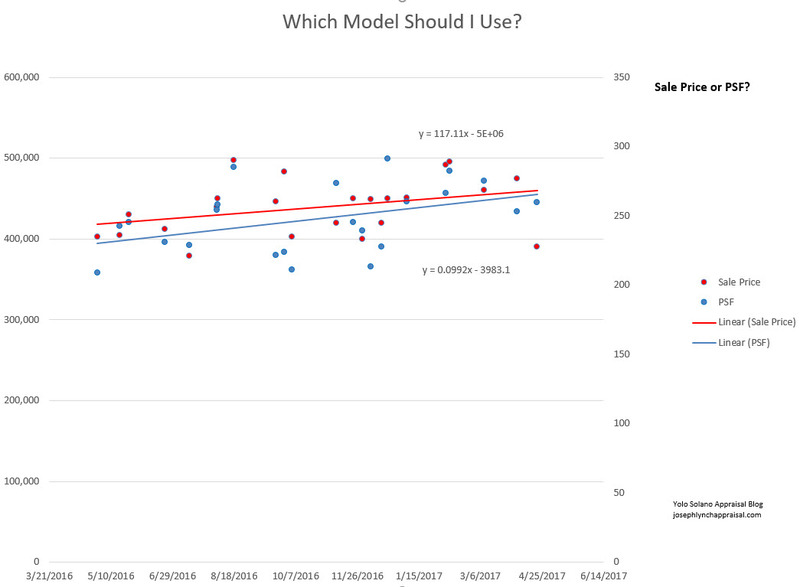 In this case, the Sale Price Linear Regression Model explained my data better than the PSF model. I’ll have posts explaining more about time and real estate in the near future and will be teaching a class this July in Sacramento. Or you can learn straight from the national expert, George Dell. Sign up for his website and classes here. Thanks George for sharing with the rest of us. Why do you think the linear model worked better in this case? This entry was posted in Appraisal, Appraisal Techniques, Stats and Graphs on April 29, 2017 by josephlynchadmin. 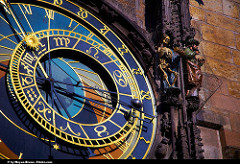 Time is your friend when valuing homes, especially when analyzing unusual properties. 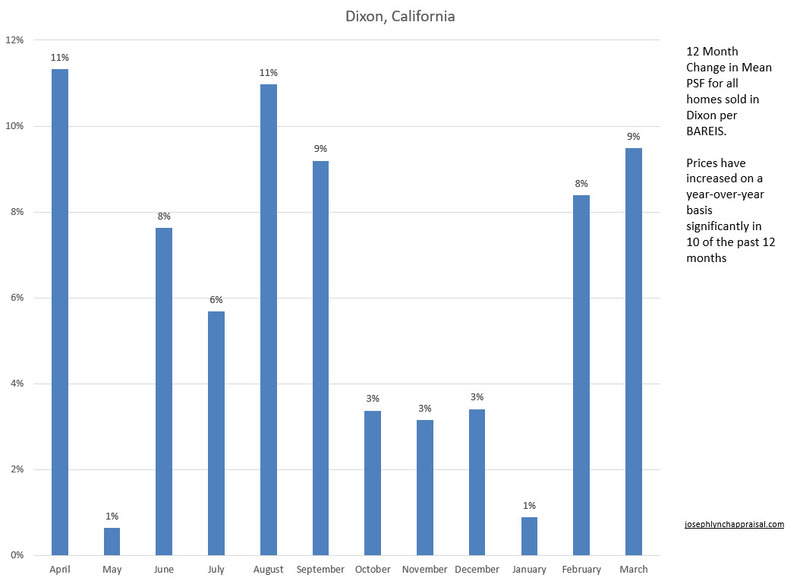 Sometimes when appraising a property, you find six model match sales within three months of date of value in a very narrow range, the value of the subject is obvious, and you’re done. Next please. Other times, the subject is located on a busy street, is larger than any sale in town in the past 12 months, and has a moat. How do you deal with this nightmare? This is when time is your friend. Expand your search parameters back in time until you find a competitive sale that brackets or equals the subject’s unusual feature. That sale from three years ago that was bigger than the subject is a comparable you can use to value it today. Or better yet, use the prior sale of the subject from five years ago so you have a sense of the value impact of that moat. Sometimes the best comp is the prior sale of the subject. If you have time adjustments in your tool box, you’ll have access to a wider range of comparables than someone who doesn’t. I’m developing a time adjustments class for REAA Sacramento that I plan to teach in July. I’ll talk about time adjustments more on this blog but will leave you with a couple of ways to determine time adjustments, especially when you want to bring forward in time a dated sale to use as a comparable. Gary Christensen has a video here that discusses how to do a linear time adjustment in Excel. This works well when you have a set of comparable sales that you can analyze and the market has been relatively consistent. I’ll discuss this in detail in the near future. 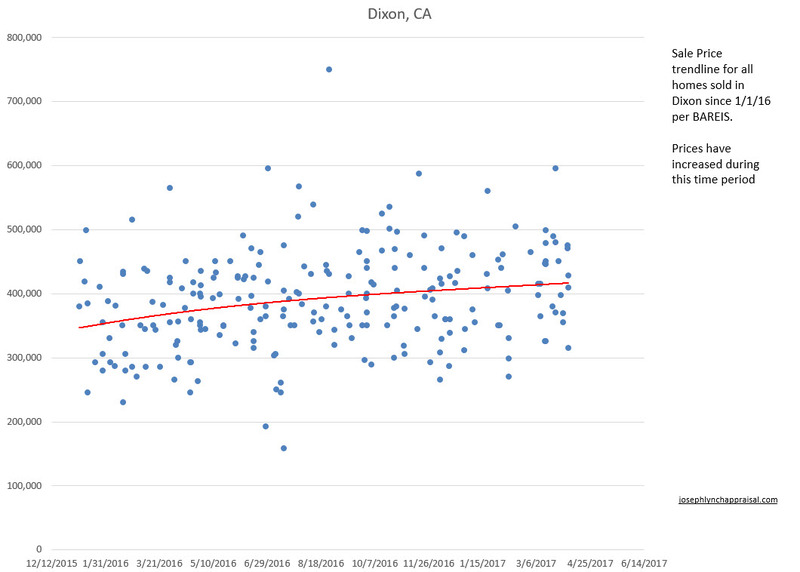 Another simple way that works well for comparables from 2+ years ago is to look at the percent change in average (median/mean) sale price or price per square foot for the subject’s market area compared to the date of value. That percent difference-that’s your time adjustment. Apply the percentage to the comparable’s sale price and your old sale is ready to use as a comp. 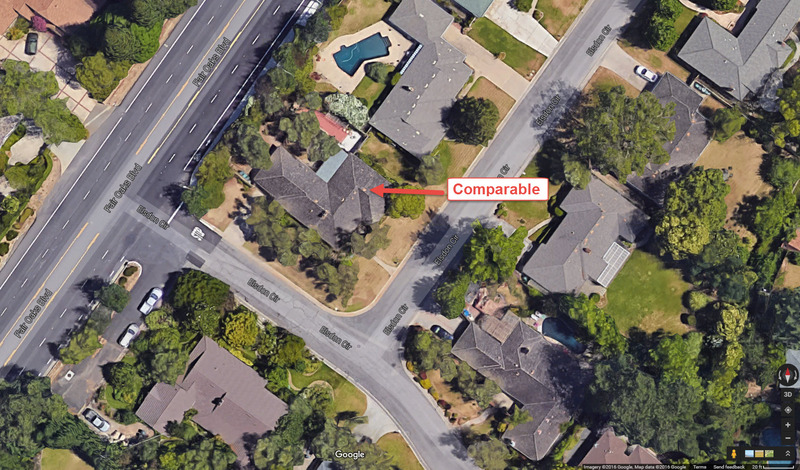 Most MLS systems have market analysis tools that will let you look up an average price in the past. In the worst case, the Freddie Mac House Price Index on the MSA level can help. Or you can use pivot tables to track changes in market areas (more to come soon about pivot tables). I recently appraised a home in a small project where the most recent sale occurred nine years prior to date of value. I used the Freddie Mac House Price Index to determine a 29% negative time adjustment for this sale, subtracted the dollar amount, and the dated sale was ready for comparison. 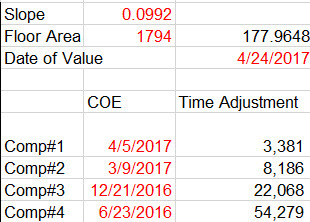 What is the most time between a date of value and a date of sale for a comparable in one of your valuations? This entry was posted in Appraisal, Appraisal Techniques, Stats and Graphs, Teaching and tagged Time on April 19, 2017 by josephlynchadmin.